Explanation: Orbiting in the plane of Saturn's rings, Saturnian moons have a perpetual ringside view of the gorgeous gas giant planet. Of course, while passing near the ring plane the Cassini spacecraft also shares their stunning perspective. The rings themselves can be seen slicing across the middle of this Cassini snapshot from May of last year. 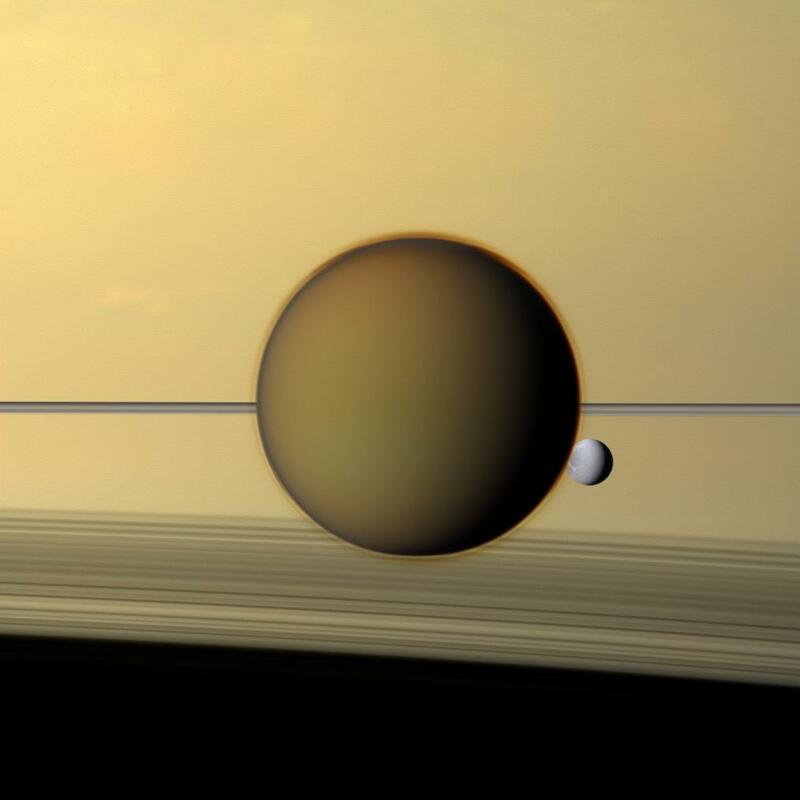 The scene features Titan, largest, and Dione, third largest moon of Saturn. Remarkably thin, the bright rings still cast arcing shadows across the planet's cloud tops at the bottom of the frame. Pale Dione is about 1,100 kilometers across and orbits over 300,000 kilometers from the visible outer edge of the A ring. Dione is seen through Titan's atmospheric haze. 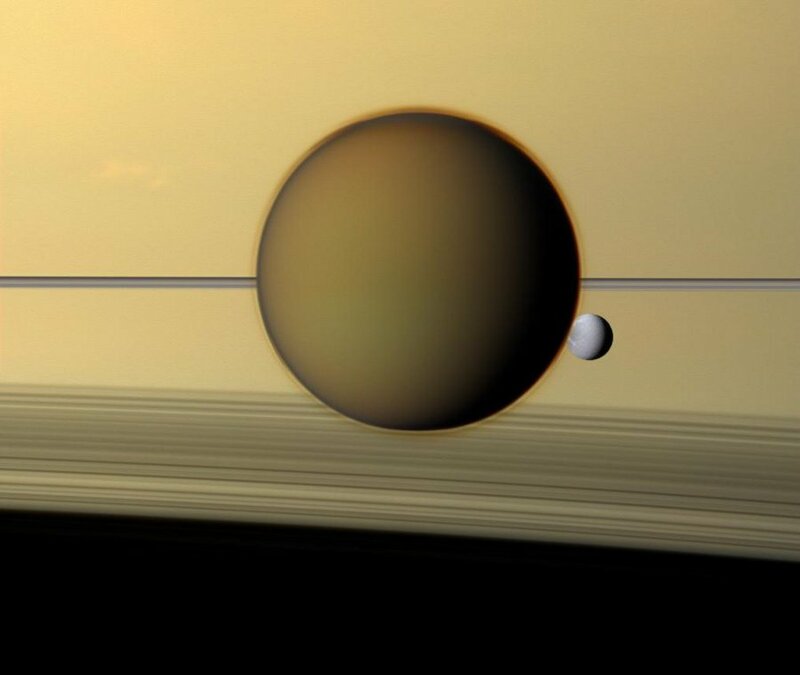 At 5,150 kilometers across, Titan is about 2.3 million kilometers from Cassini, while Dione is 3.2 million kilometers away.